Desert Valley Pediatrics would like to welcome Kristi Sonsky to the team. Kristi is our newest pediatric nurse practitioner. 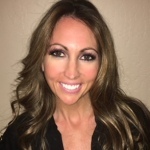 Kristi graduated from Grand Canyon University with a Bachelor’s in Nursing where she then went on to work as an RN at Phoenix Children’s Hospital for twelve years before graduating as a pediatric nurse practitioner at the University of South Alabama. Kristi’s passion has always been with children and she is excited to continue her career in pediatrics with Desert Valley educating and establishing lifelong relationships with her patients’ and their families as they make the journey from infancy to adulthood. She will be working in our Surprise location. To learn more about Kristi click here.